digi- SCRAPS & SHOTS: Digital Scrapbooking, Digital Photography, Arts and Crafts: Is Bankruptcy the Best Solution for Me? Is Bankruptcy the Best Solution for Me? Filing for bankruptcy might seem like the simplest option to solve your debt problems, but it carries serious implications that can change your life. From being unable to rent a house to having restrictions placed on your bank account, becoming bankrupt can affect you in a range of ways you may not have envisaged. Here are a few questions you should ask yourself when considering if bankruptcy is the best solution for you. How Much Do I Need to Owe To Become Bankrupt? Bankruptcy occurs when you are unable to meet your financial obligations to your creditors, and have been unable to come to any other arrangement or agreement with them. There is no prescribed limit on what you owe before you can file for voluntary bankruptcy, however a creditor can make you bankrupt if you owe more than $5,000. 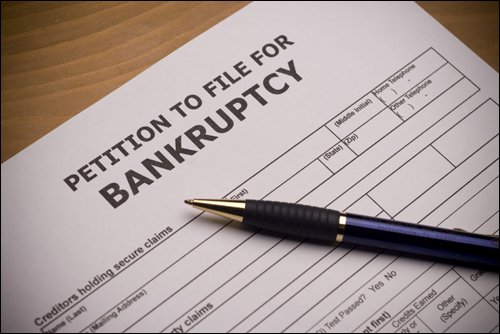 What Happens After I Have Filed for Bankruptcy? A trustee will be appointed to oversee your affairs once you have filed for bankruptcy, and your creditors will no longer be able to contact you. Your financial situation will be thoroughly examined, and some of your assets may be sold to recover funds for creditors. Your financial institution may restrict your bank accounts and refuse the use of your credit cards once you are bankrupt. What Is Considered an Offence? There are a number of things that are considered an offence once you take the option of bankruptcy. You can be prosecuted if you fail to disclose assets, dispose of property before bankruptcy to defeat creditors, obtain credit without disclosing your status as bankrupt and leaving the country without the trustee’s permission. The consequences can be as severe as 3 years imprisonment if you are convicted. Is There Anything Else I Should Try Before Bankruptcy? Yes! Remember that bankruptcy should be your absolute last resort. It is a serious undertaking which has significant consequences, potentially affecting you for many years to come. Before choosing to become bankrupt, you should speak to a debt solutions specialist such as Fox Symes. They can help you to assess your situation, and suggest a range of solutions which may help you to avoid bankruptcy. These can include debt consolidation, as well as negotiating with your creditors to create a manageable plan for repaying your debts. This will allow you to focus on one monthly payment at the minimum rate of interest, while actively reducing your debt. You may feel like your debt is unsurmountable, however with professional help, you can regain control of your finances and feel secure again. No matter how serious your debt situation may seem, there are a range of options that you can explore without filing for bankruptcy. Speaking to a professional debt solutions agency will ensure that you are being given the best possible advice every step of the way. If you do decide bankruptcy is your only option, they will be able to assist you from start to finish. Choosing a reputable company such as Fox Symes, the leading Australian debt solutions specialist, is essential to ensuring your finances are in the best possible hands.